VUR 8877 – Vu Ryte Inc. The monitor stands will support up monitors/machines up to 25 pounds. This unique desktop solution is world class ergonomics and organization…monitor height adjustment and document support–ALL in ONE solution. The kit contains two each of the stackable VUR 8800 monitor stands which allows the user to incrementally adjust monitor height either one or two inches. Each monitor stand measures 9” x 13 3/8” x 1”. The monitor stands are graphite and will support monitors/machines up to 25 pounds in weight. 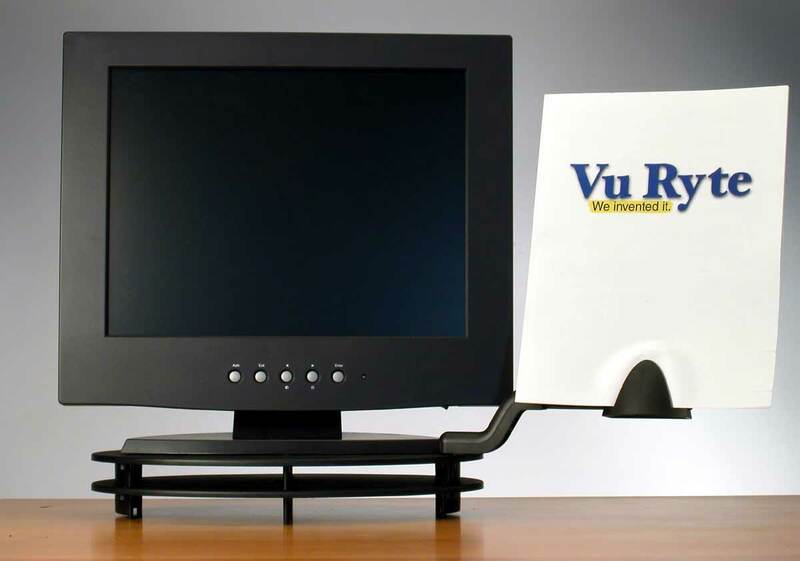 Included in the kit is the world famous Vu Ryte “Liberator.” Your “Liberator” fits on either side of your monitor stand and will conveniently support light weight documents and notes to either side of your monitor. It is adjustable in angle and swings out of the way when not in use.